Recently I went to Chennai for my office work, Yes other than photography I am a software Engineer at TCS :) . Before this trip I had a lots of misconception in my mind about Chennai but I was totally wrong. Chennai is just like Mumbai....kind same traffic....same buildings, Even Chennai's famous Marina Beach just resembles Marine Drive of Mumbai. Wow in my week trip I have never missed Mumbai. Other than its delicious food, it is also famous for its Tea. Yes Tea, Chennai folks makes some refreshing tea and there are so many tea sellers stalls in Chennai. Here is the photo of tea sellers of Chennai at Marina Beach. 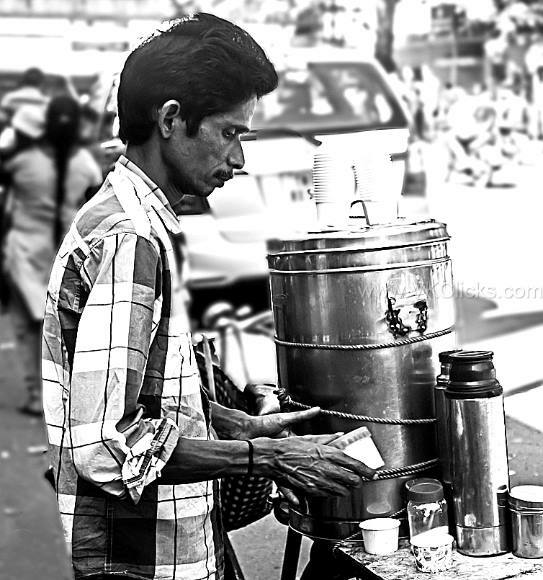 Reminds me of my Kolkata tea seller click. Tea sellers... great theme isn't it?